The outlet is also from the early change type hinge door extended to the drop-down, unlike the hinge to high-speed operation of the potatoes playing more safe. 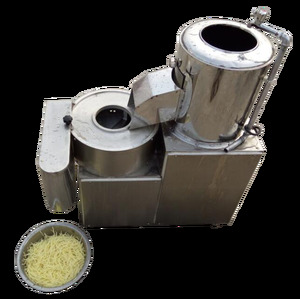 Potato peeling machine for potatoes, potato, peeled and cleaned, suitable for restaurants, hotels, schools, enterprises and institutions, the restaurant, snack food processing factory. 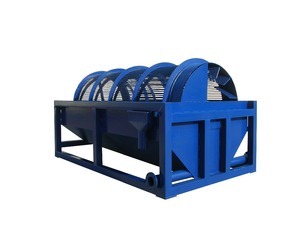 By centrifugal rotation and friction peeling, peeling clean flesh, small damage, high efficiency, at the same time peeling potatoes and potatoes and fresh, clean and sanitary sewage discharged automatically. It is designed according to the material features, used to wash and clean the hair, mud of materials, and can also remove the skin of materials. According to the materials being processed, there are two kinds of brushes: hard and soft, this can avoid over damaging of materials. While the roller rolling, the carder in the roller brush the raw material without a break. 3. The machine is antirust because of the external covering made of stainless steel. 4. The peeling principle is utilizing the rotary carborundum plate to peel. 5. The machine is widely used for restaurant, hotel, mess hall, and other vegetable processing units. 4.The main parts of this machine adopted double bearings, and the chain and chain wheel are durable. Character of Cassava Peeling Machine : 1. 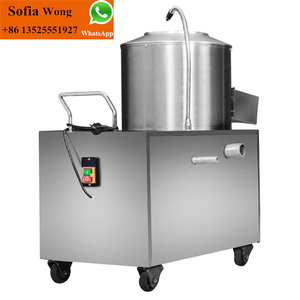 The main parts is made of high quality stainless steel which is sanitary and durable. 2. After-sale Service of Cassava Peeling Machine : a ) We offer you the whole factory design and machines' installation drawing. The Washing and peeling machine can peel cleanly. The Washing and peeling machine all made of stainless steel. 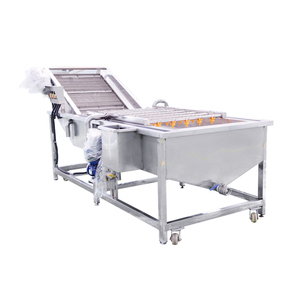 The Washing and peeling machine is the largest and most advanced fruit and vegetable peeling equipment cleaning. 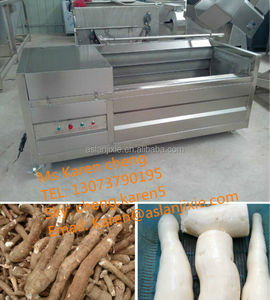 Alibaba.com offers 4,963 cassava peeling machine products. About 14% of these are other food processing machinery, 1% are shellers, and 1% are peeling mill. 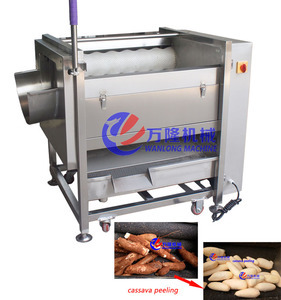 A wide variety of cassava peeling machine options are available to you, such as free samples, paid samples. There are 4,963 cassava peeling machine suppliers, mainly located in Asia. The top supplying countries are China (Mainland), India, and Nigeria, which supply 99%, 1%, and 1% of cassava peeling machine respectively. 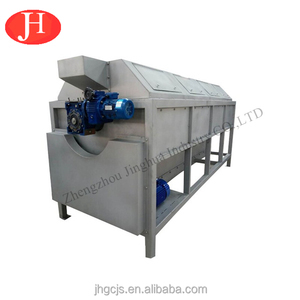 Cassava peeling machine products are most popular in Africa, Southeast Asia, and North America. You can ensure product safety by selecting from certified suppliers, including 1,320 with ISO9001, 1,072 with Other, and 127 with ISO14001 certification.